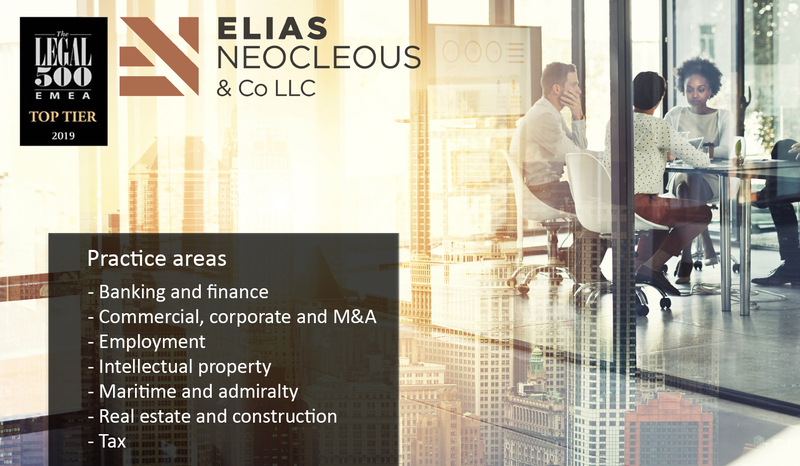 We are delighted that the latest Legal 500 rankings for Europe, the Middle East & Africa, released on 10 April, confirm Elias Neocleous & Co LLC as the leading firm in Cyprus with the highest overall rankings. Two of the firm’s lawyers are listed in the elite ‘Leading lawyers ‘ list of outstanding lawyers and a further two lawyers are listed in the ‘ Next Generation Lawyers ‘ list of up-and-coming lawyers. Elias Neocleous, Managing Partner of the firm, welcomed the rankings and said, “It is extremely gratifying that the leading position we took over from our legacy firm has been confirmed by the latest Legal 500 research on our new firm in its own right. We are determined to build on the achievements of the past and to continuously innovate to take our firm to new levels in the future.